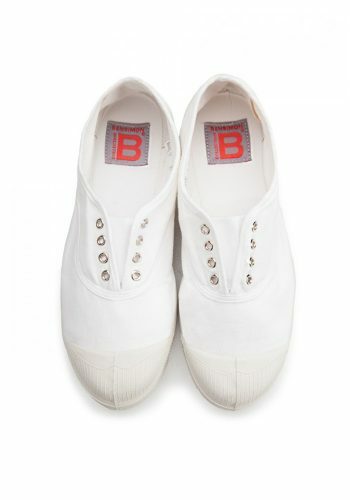 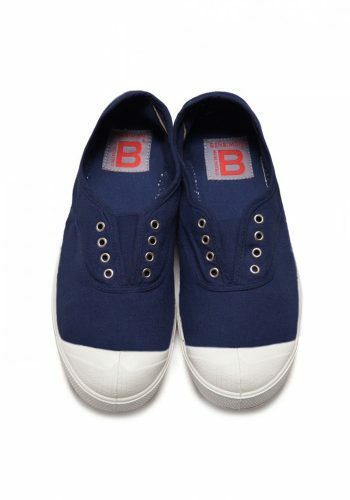 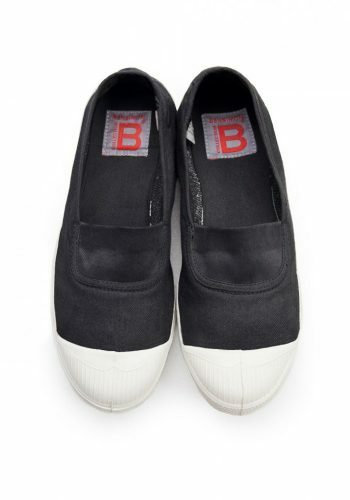 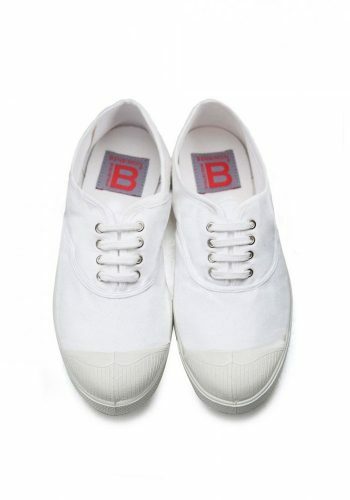 Bensimon elasticated tennis with eyelets. 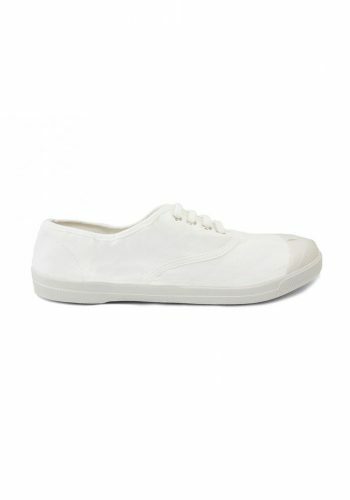 Cotton canvas (100% cotton). 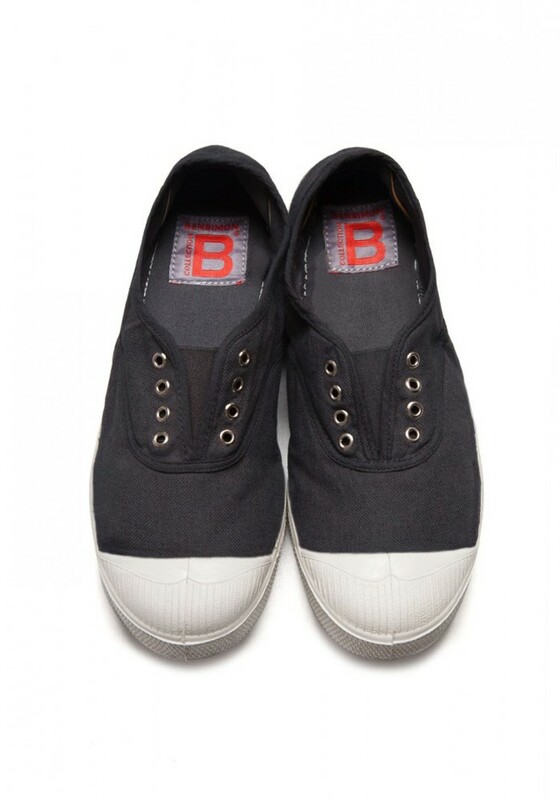 Natural ruber sole.